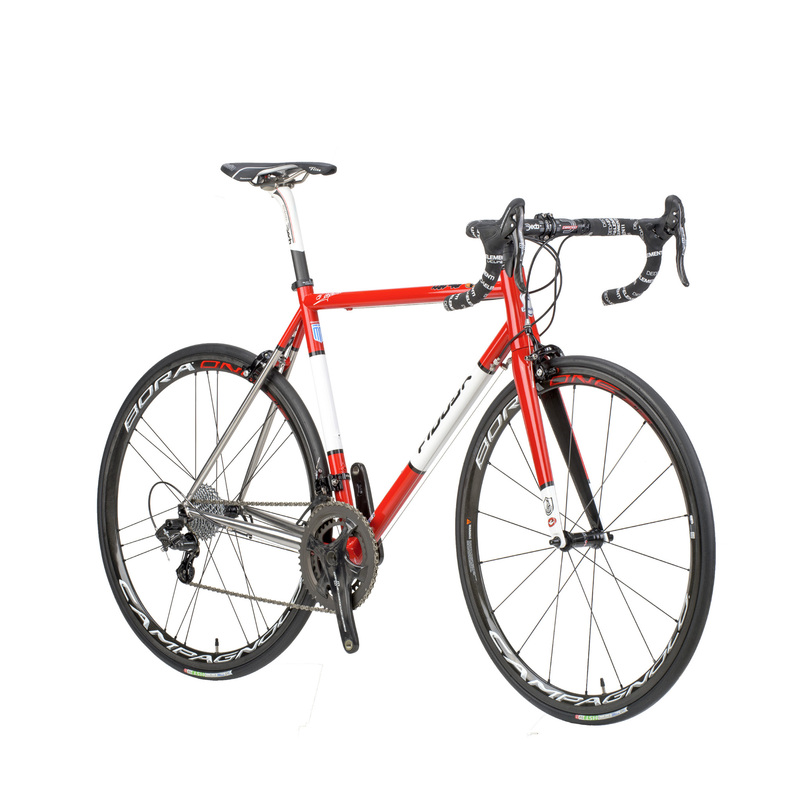 “Knowing the passion and knowledge on the subject of George Voyatzis, I decided to order a build of a stainless steel frame exactly as I imagined – custom made-to-measure in my size and geometry, with my specification of colour and graphics and with each individual frame tube selected from the Columbus catalogue. 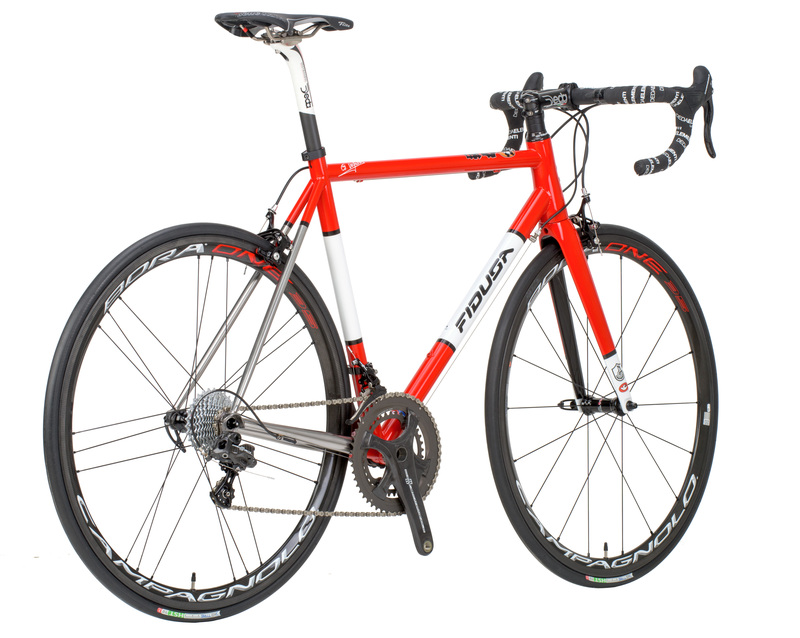 With the help of George I decided on the final frame details and the choice of the build components”. 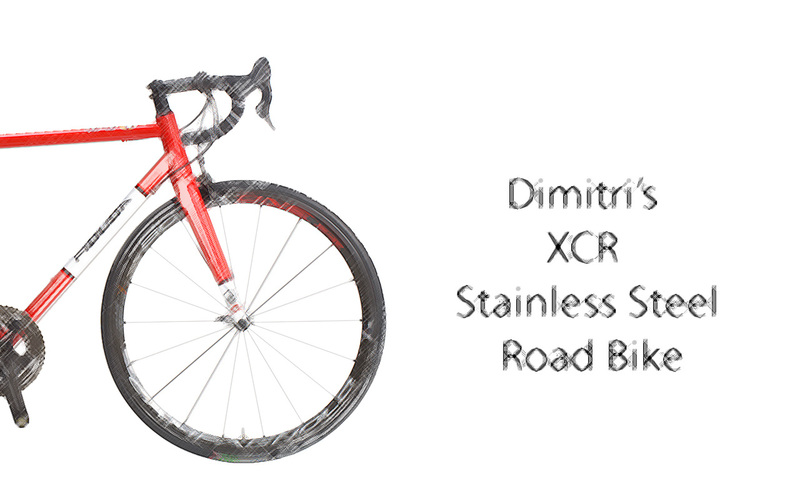 Dimitris came to Rhodes in order to be measured and fitted for a road bike with a Columbus XCR stainless steel frameset. 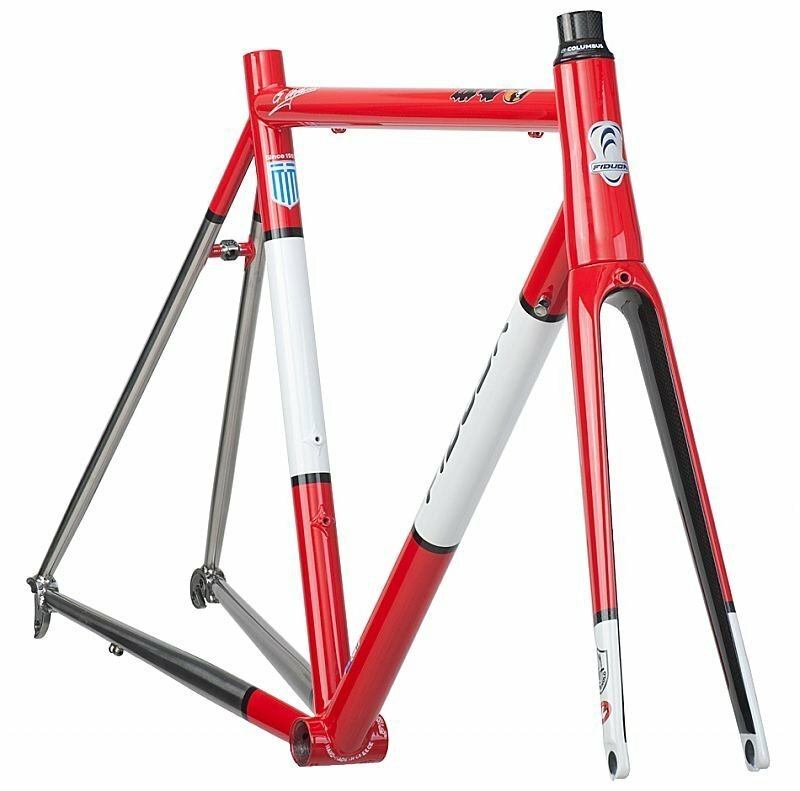 We started by selecting the individual frame tubes from the Columbus catalogue – the cross sections, the dropouts, the head tube and the fork. 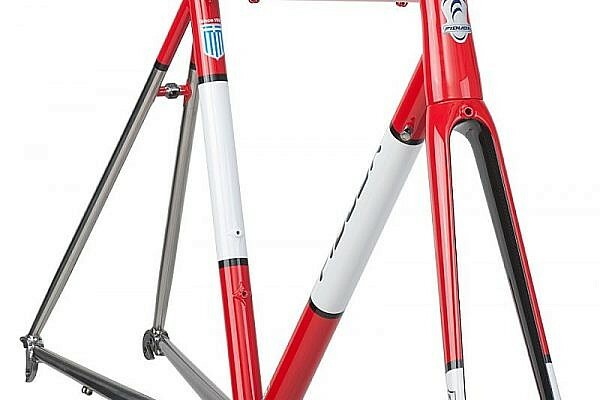 During the frame construction, Dimitris remained undecided about the color and frame graphics. On completion of the build we decided to leave the rear triangle bare, polished steel, and the rest to be painted red with white and black logos. The horizontal tube Dimitris chose to put a graphic in Japanese script. 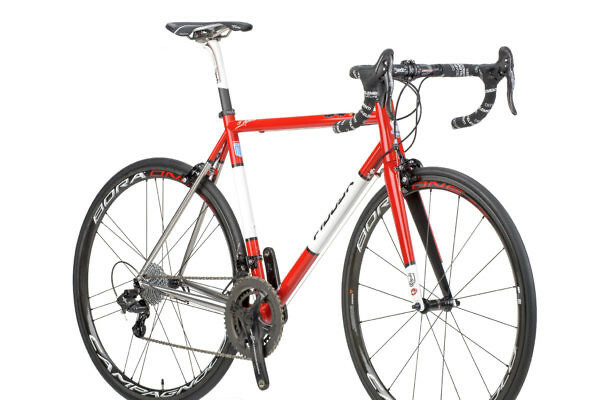 The inside of the fork was left unpainted to show the carbon weave and the outer was painted red to white. In the bottom bracket, the brake bridge and 3D dropout we have CNC etched Fidusa logos. 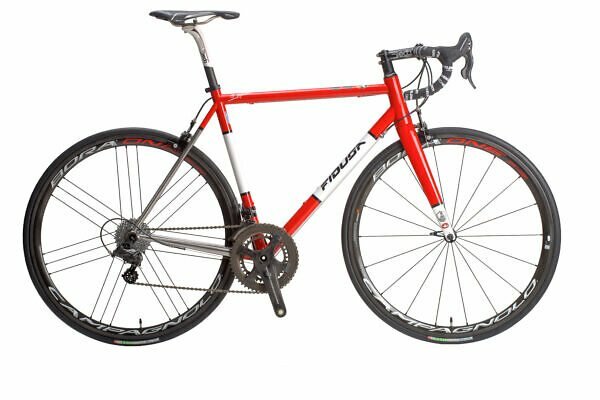 Such a nice frame deserved only the best components so we built it up with a Campagnolo groupset and Campagnolo Bora One 35mm clincher wheels and finished everything off with Deda Elementi SuperLeggero components. The result? 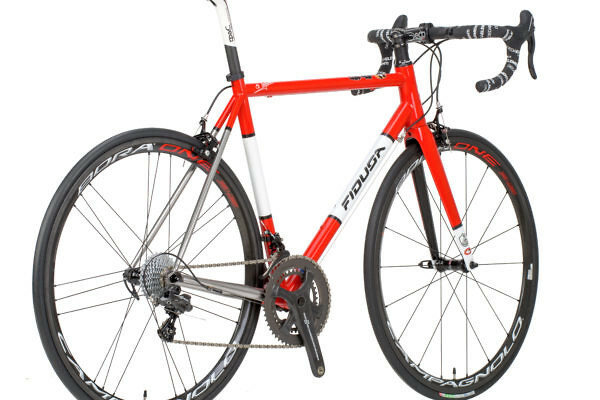 A unique, elegant and lightweight Fidusa bike.